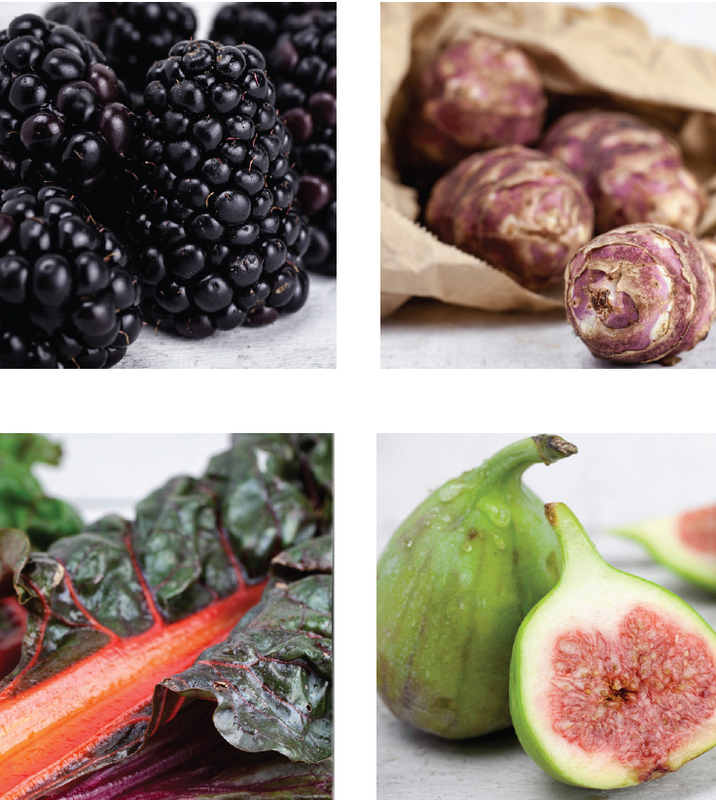 Blackberries are packed full of goodness with their sweet but tart flavour. They are great for crumbles, crème brûlée or even chutneys. Our Conference Pears are now being sourced from the UK.Fantastic UK greengage are still available, however, please bear in mind their season will shortly be coming to an end.Tasty Victoria Plums are grown just down the road in Somerset. UK grown Damsons are best cooked and used for Jams and Tarts, as well as be used to balance out savoury dishes, such as Pork and Lamb. Turkish new season Figs are now in stock. Jazzy Mids are Cornish grown and superb; a great versatile potato!Our Black Cabbage has a wonderful deep rich colour to match its flavour. Jerusalem Artichokes are now available – have you tried pureeing to make a lovely thick soup? You can’t miss our Rainbow Chard that is packed full of flavour and has an outstanding range of colour. English Romanesco is great for sautéing in a little Olive Oil to get those great chargrilled marks, mmm yummy! Super sweet Fresh Corn is here – its not just for the BBQ you know! Bunched Baby Artichokes and Violet Artichokes are something new to try this week. Keep an eye out for our Mixed Chantenay Carrots as they will be here any day now! The Dairy Market is on the rise again and we do not envision that this will come down any time soon. The cost of Butter has doubled since early 2016 which is due to the lack of dairy farmers and supply and demand. This has also affected the cost of other dairy products, such as Cream and Milk. We are keeping a close eye on the market and will keep you informed with any changes. Please note, we do sell UHT Creams; Whipping Cream (8987), Double Cream (20059) and Single Cream (8368) as an alternative to our fresh creams on offer. 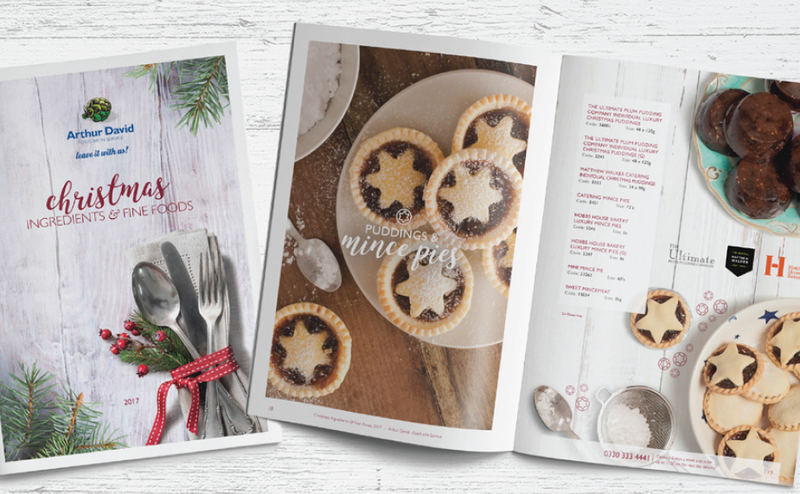 With only 17 weeks to go until Christmas, you will probably be well underway preparing your Christmas Menu! You would have received our Christmas Brochure by now. If you haven’t then please email info@adavid.co.uk with your account number and name and we will get a copy sent out to you! French New Season Royal Gala are here and will shortly be followed by new season Braeburn and new season Granny Smith which often have a slightly more sour taste. Broad Beans and Fresh Peas have sadly come to the end of their season and what a great season it was! The days are running out for our Runner Beans and we will see the last of them in the coming weeks. Apricots are coming to the end of their season but the new airfreight season will begin in December. Due to recent weather conditions our Cheddar Strawberries are suffering. The farmer has lost 25% of his crop due to poor weather. We are currently sourcing elsewhere until the situation improves and we will keep you posted. Cherries are US airfreight and, due to the nature of being air freighted, they will be more expensive. We will shortly be moving over to Spanish Black Grapes, the grape itself is often smaller in size but still very tasty. Our Courgettes will shortly be sourced from France as the English season draws to a close. Autumn is fast approaching so we will see the first of our mixed squashing in in the coming weeks, this will be followed by Pumpkins towards the end of September. 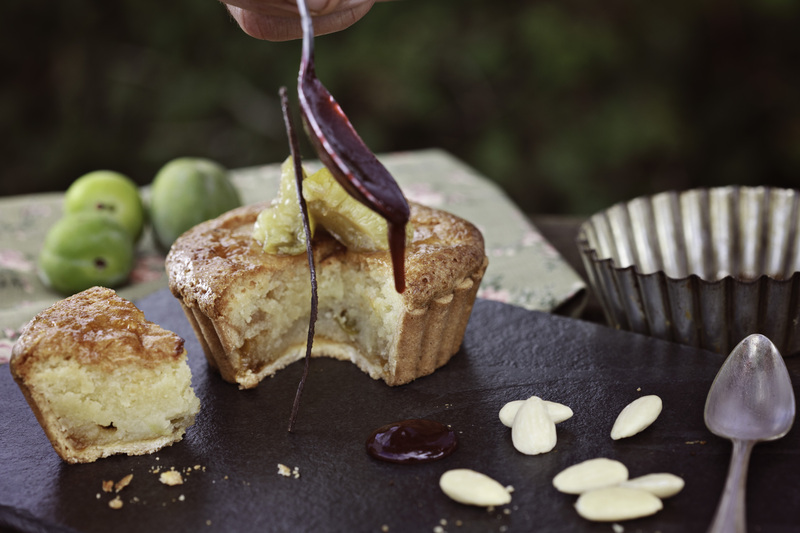 Greengage, Almond & Vanilla Tartlet!